The New York Times tells us that Today’s Energy Jobs Are in Solar, Not Coal. But watch the pea - these jobs are “energy jobs”, not jobs that use energy. In contrast, it took about the same number of natural gas workers (398,235) last year to produce more than one-third of U.S. electric power, or 37 times more electricity than solar’s minuscule share of 0.90 percent. …to produce the same amount of electric power as just one coal worker would require two natural gas workers and an amazingly-high 79 solar workers. Cheap energy creates job opportunities in other sectors. Solar energy takes people out of the productive workforce. We could increase the number of people employed as glaziers through the simple expedient of throwing rocks through everybody’s windows. Makes almost as much sense. Don’t forget the miners. Those rocks don’t grow on trees. Put those 400,000 solar workers on bicycle powered generators and they’d most likely produce more electricity and be far healthier to boot. Until the bicycles wear out and there is insufficient energy to replace worn parts or make new ones, that is. Make then out of bamboo, then they become renewable! Buy a Bemused Bamboo Bike…sorry, feeling a bit facetious this evening. Bamboo bikes are a thing, especially for those concerned with the well-being of the world: http://ghanabamboobikes.org. Your pedal powered generators is not a silly idea for some applications. However applied to Industry it would take us back 200 years or more to the treadmills. People in PV houses shouldn’t hedge loans. Well they did promise lots of jobs in alternate energy. They never promised those jobs would be productive. Now of course, we must continue with alternate energy, to SAVE all those jobs. Thank you, JoNova, for a quantitative analysis of the insanity of the UN’s one-world government! Beware! Jon Rappoport’s blog was mysteriously closed down soon after it posted undeniable confirmation of “powers beyond the dreams of scientific fiction“ in rest masses of ordinary atoms. Big Brother does not want you to know that Big Brother is absolutely powerless compared to the source of energy that powers the Sun, the cosmos, and sustains our lives. _ a.) Two forms of one fundamental particle, collapsed and expanded electron-proton pairs, comprise all atoms. _ b.) “NEUTRON REPULSION” in cores of atoms, stars, galaxies and the universe offers all humanity “powers beyond the dreams of scientific fiction” . . .
as Aston correctly concluded in 1922 from measurements of atomic rest masses and earlier steady advancements in nuclear, atomic and particle physics by Prout (1815), Einstein (1905), and Rutherford (1920). Amazing how the dollars fuel the belief! And now Despot Dan’s Victoriastan is about to pull the plug on another major coal generator at Loy Yang? In the meantime, Micro Malcolm,our esteemed BSer in Chief is trying to pretend to be in the Donald’s class as Pratt decides to invest an additional 5 billion in his USA cardboard industry and not here, much to the public appraisal of the Donald and co, whilst our Globull Warmer in Chief shrinks even further in his chair during the announcement. The USA power cost is about 12 cents per kwh compared to our 30 cents per kwh or SA’s 50 cents per kwh ….what a joke …..yep invest in Aus as your energy prices go through the roof and you get taxed and regulated in to the ground, not to mention flooded with immigration to keep our national Ponzi scheme up and running…..the lucky country! Little wonder Pratt and others will and are running to the USA. In the meantime , more and more is squandered on the intermittent toy energy racket,that is borrowed from overseas racketeering banks plus interest which is increasing our national debt even more so. With a good debt here,a bad debt there,here,there,everywhere a Big debt! Our bad joke continues with our ‘monoversities indoctrinated’ at the helm . The story doesn’t stop there. It is not just about employment but about the financial viability of the entire sector. To understand that, we need to investigate sources of income, government subsidies, cost of doing business, cost of electricity produced, taxes paid, and then the profitability of the sector. The bottom line is that most of the companies doing business generating renewable energy would not be profitable if they didn’t have government subsidies to support them. Which means that the sector in general, only exists because of taxpayer funding. In other words, the renewable energy sector is a drain on every nation’s economy because it consumes tax dollars, in excess of any revenue stream it generates or any profit that can be generated. That argument doesn’t even take into account the doubling or tripling of electricity costs to the consumer, which depletes disposable income that could otherwise be utilised in more productive areas of the economy. Nor does it consider the impact of doubling or tripling of electricity costs on every industry and service sector of the nation. The push for renewable energy is a moronic national economic policy, being advocated by all those important UN bodies. Given that most countries have been struggling economically with the impacts of the global financial crisis, what measurable benefits does the renewable energy sector provide? The world has been going down this path for over a decade now. Surely someone has produced a cost/benefit analysis that shows that all this pain is actually achieving something useful? But Pauly, they are saving the planet. Surely if it saves just one polar bear, it will have been worth it. Doing something less efficiently than before is known as wealth destruction. That’s the purpose of the greenblob. That’s why solar is so cheap. Free, even. The sun is free, the infrastructure is not. Coal is free, too, as are oil and gas. All you have to do is get them out of the ground. Even better than solar or wind, coal, oil & gas have a far easier energy storage capability, they are also far more transportable than solar and wind, and, finally, they deliver the energy on demand. Jo, thank you for a direct and excellent post. The graphics are excellent in depicting the lack of efficiency in solar electric power production. We knew this, but in a general way. Thanks for the specifics. I imagine that wind-farm electric power would also be labor intensive. It was surprising to me that natural gas took twice as many workers for the same amount of electric power produced by one coal worker. I didn’t think this would be the case. Thanks again for the lesson. I imagine that wind-farm electric power would also be labor intensive. You bet it is. Somebody has to wind up the clockwork in those windmills every morning, in order to give the punters the allusion that they are actually getting something useful, for their inflated tax dollars. You wouldn’t want to be near one (a windmill, not a punter), when the spring breaks. Is that when they (windmills) catch fire? Or is that when they can’t keep up with the wind? So, one or two workers in conventional power coal or oil equals 80 workers in so called renewables. This is something we have all known or suspected for some time. An energy source this inefficient will send our economy broke in quick time. It’s already happening. Whatever ‘renewables’ was meant to be, it is nowhere near as free as Natural Gas or Natural Coal. The sheer cost of Free solar and Free Wind is vastly higher. The great lessons are that nothing is free and that allegedly Green energy is the most expensive energy possible and that is not counting the immense cost and pollution of the replaceables needed for harvesting. All this for a tiny fraction of the energy we need and no base load or guarantees. Renewables are an absurd fantasy which are chewing up all our resources to discover what people knew before coal. Wind is fickle and the sun is only for summer days. We should have learned from the past, but some never do. We are about to learn from our faux Prime Minister that you soon run out of water for hydro too. His multi billion dollar pumped fantasy is a bandaid which does nothing to create power just to prolong the fantasy of Green power. What it means that Green dreamers simply do not really believe engineers or scientists. They have their own consensus science which closer to shamanist religion where mother earth will provide. This denies the advances which made our quality of life possible and would shut the factories, shut the hospitals, close the airports, put us all on bicycles and generally force us all into the dark ages, as South Australia knows too well. The irony is that mother earth has provided, coal, gas, fuel and timber but we refuse to accept these gifts, preferring to destroy our environment with windmills and vast amounts of heavy metals rather than harvest. We have had enough of medieval Greens, the oppoprtunistic leaders of which are communists who want the political opportunity mass poverty will bring. Not everyone wants to improve lives other than their own. These Green jobs are a total waste of human resources, the worst type of deceit by politicians. What it means that Green dreamers simply do not really believe engineers or scientists. Most engineers and scientists work in narrow fields and with each generation the specialisation increases. Philosophy and the logical thinking behind it is a long dead element of engineering education. Few engineers have the inclination or time to question what they are taught and doing and the reasons behind it. As long as it pays well and has a future. 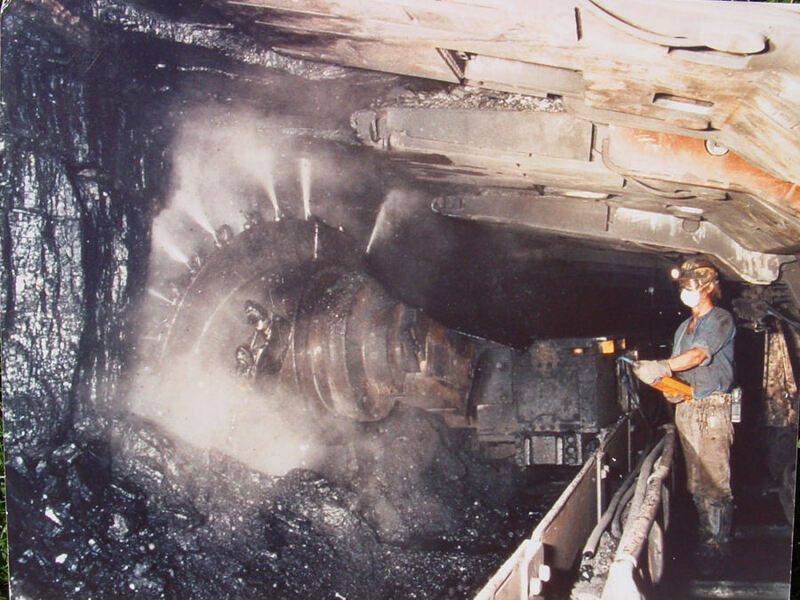 How many aspiring engineers would see coal mining in their future. Would you be recommending to an 18yo to take up mining engineering so they can work in the coal industry. You might but I doubt they would follow your recommendation as it would be so far from what they are reading about the future of coal generation that they would consider it poor advice. There is no reason why pay rates are not similar because we are constantly reminded that solar electric power is cheaper than coal fuelled electric power. By the time the penny drops there will be no future in coal generation so no comparison; just higher electric power costs. For coal generation to have a future in Australia it needs coal power plants projects under way now. I cannot see that happening in Victoria. Brown coal is a dead duck. I would recommend young Australian engineers and scientist leave for America. Coal and gas and oil will boom and manufacturing. Even Pratt is investing $10 billion. Australian governments import their engineering and engineers. The submarines will never happen. Nor Snowy II. 54% of engineers are foreign born. No one even studies science now at an historic 5% low. Adelaide is a retirement home with electricity 10x world prices when you can get it. When the temperature dips soon, coal and iron ore and gas will boom again. Australia will be an open cut mine feeding public servants and retirees and tourists. Turnbull keeps his fortune overseas and tells us to invest in education to create more lawyers. There is no Green boom. And so sad for Ausralia. We need a politician who can lead and shake people out of their complacency. Too much to hope. My observations over 50+ is that around now ought to be an opportune time to get into that line of business. There are laws governing the conservation of energy. You cannot get more energy out of something, than was put in. You might think you are getting “free” energy from a windmill or a solar panel, but you would be wrong. The amount of “energy” that you get, over the lifetime of the unit, is always well below the original aggregate energy invested, in making the unit in the first place. With coal, the energy investment was made by the the sun, and millions of plants, aeons ago. Even if you include the extraction costs, recycling the energy trapped in coal, is still one of the cheapest reliable sources of energy there is. It is the cheapest. Also as clean as you can get, unless you consider CO2 or H2O are pollution, which is frankly, nuts. Strange maths in your ‘renewables aren’t free calculation’, you focus on the embedded energy in the manufacturing stage and completely forgot about free solar/wind/wave/thermal energy input. Thermal energy is not free. New Zealand has some considerable experience with that source. The wear and tear on infrastructure is costly. New Zealand is fortunate (or unfortunate, depending on the fear factor), in that, the whole of the North Island is sitting on a string of volcanoes, some of which have a tendency to erupt from time to time. But we do get energy from boiling steam from heat generated by volcanoes, although it is generally seen as a secondary source. Solar is also not free. The panels need to be continuously maintained to keep dirt and bird effluent under control. You also need storage backup for when the sun isn’t shining, so your efficiency is never more than 30%. You gotta have a backup supply, which might as well be your main supply, since it has to be available 24×7, anyway. Wind is also a crock for the most part, because you either have too little wind, too much wind, or large wind gusts, so the blades need to be feathered, and allowed to freely rotate (i.e. not powering the generator), and if you don’t have enough wind, external power needs to be supplied to overcome the inertia of the blades, and keep them rotating so their weight doesn’t warp the shaft. Wave power is good if you have a tidal estuary with regular volumes of water in and out, and a general lack of large storms, with high winds and correspondingly large waves, that can severely damage a wave-power generator. I can’t think of many estuaries in my part of the world, that would meet those criteria. So good theory mate. But the real issue are hidden in the ongoing maintenance and the security of supply issues. Your average punter expects the lights to come on every time they flick the switch, and they expect full voltage, at a constant frequency, and without surges. That is the yard-stick that your “renewables” have to meet, twenty four hours of every day of the year. Perhaps you could explain to the rest of us, how that is going to happen? Nice straw man there RW, the free part is the external energy input , thought that was pretty clear at the end of my sentence. Supply consistency is being addressed, battery costs are reducing all the time. It is also interesting that you did not mention nuclear power in the list of energy sources, that I forgot to mention. It is an ideal source of base power to keep the grid supplied. It would allow the rest of us to pick and choose our favourite generation toys in playing the top-up game. Australia has heaps of nuclear material, just waiting to be dug up. Have you looked at the TOTAL cost of nuclear ?. No one has come up with a satifactory/affordable way to store the waste for thousands of years, that’s why it’s mostly sitting in temp storage waiting for a good idea to turn up. That’s just passing the problem to the next generation who will curse you for it. You’ve got to love the importance these people place in their industry. A total eclipse of the sun is now called “a removal of a large amount of photovoltaic resources”! I wonder if all these workers will be required to take five minutes leave during this “force majeure”! Coal miners would cope of course. At any one spot along the eclipse path it will last a few minutes only. It’s the first total eclipse to cross the US since 1970 – nearly two generations in fact! Good grief, what horrendous FakeNews! There are things that regularly “remove photovoltaic resources” all the time – they’re called “clouds.” I can only assume this FakeNews is being put out there so that they can follow up with “grid passes eclipse stress test with flying colours” FakeNews. Not to mention night time! That’s a type of eclipse. The Earth moves between the observer and the Sun. Or longer nights in winter. This is entirely fake news a beat up. As if an eclipse is the biggest single problem to face solar power in years. Surely someone is joking and don’t call me Shirley. That’s the trouble with the renewables industry and the Greens – you get used to them taking nonsense like that seriously! Sounds like a taxpayer funded study tour to “assess the impact of sudden lunar interruption on the solar generation industry – coping with short duration intermittency.” I’m planning a trip myself. Potatoe picking was great fun when I was a kid, more than 50 years ago and earned good money too out in the countryside. What a great comic you are. I picked a 10 meter row of Asparagus this morning. My legs still hurt. 50 years ago my legs would not have noticed. a mile up hill after classes to get home. Halcyon days they were. Or not. It was all uphill in those days . .
Those legs had to carry me a mile up hill to school, and a mile up hill after classes to get home. You should patent that see-saw landscape. It’s already spinning so tipping and tilting it could help aim windmills into the wind better and align PV panels to maximise melting…ah… conversion efficiencies. Called “tatitie howking” in Scotland. Great fun if your back could take it. Today’s Australian unemployed youth are too precious to pick fruit. Centrelink is easier. In July 2014 RE New Economy confirmed that Australia is also engaged in an expensive fantasy. ‘Despite Australia’s history as a coal-fired economy, the nation’s solar industry employs a “far larger” amount of people than its fossil-fuelled power stations, a new report has found. ‘The report, released on Monday by The Australia Institute says that in 2014, 4,300 solar PV businesses employed 13,300 people in Australia – a vast increase on 2008 numbers, when the industry only employed 1,800 people. More workers to produce less power; the only way to balance the equation is higher energy costs. Therein I think lies the attraction many politicians feel to “renewables”. They think that more people are employed in “renewables” than coal, so there are more votes for them in boosting “renewables”. That the cost and the rising debt burden will bring economic collapse doesn’t concern them as they imagine they will have retired with their payout before that happens. That is if they see any connection between deficits and economic problems. Perhaps we need an alternate scare, that the rising costs of the RET will result in angry taxpayers stringing them up from the nearest lamppost. Many politicians are allergic to hemp neckties so that may get their attention. It’s worse than that 13300 people working consumes around 25 kwh a day each, so the retail PV industry consumes say 330000 kwh a day (330 Mwh) a day Australia has an installed base of 5900 MW which at a CF of 15% amounts to around 4000 Mwh a day. So the PV retail industry alone consumes 1/6 of all the PV output. Now take into account manufacturing and all the allied industries and almost all the PV output is consumed by the PV industry itself. That is economically unsustainable. without the subsidies, I just cannot see how solar is going to be profitable for any private operator. No doubt, there will be suporters of renewables claiming that the fossil fuel players are ‘subsidised’ while stupidly ignoring legislated tax measures mandated through parliament. So freebies and politicians are more interested in brownie point “value” of imaginary mitigation than real dollars. In the USA Obama gave it a name, the social cost of carbon ( dioxide I imagine). That’s a direct result of denominating spending in $OPM (Other People’s Money). Nothing’s changed so far as I can tell! Except that Kerry Packer got older and wiser – but successive governments in Australia haven’t! I do not understand why the productivity in the solar sector should be so low and so far noone has explained the difference . Is it because most of the solar energy jobs are at present concerned with installing and selling and once the installations are in place the devices will require little manual maintenance and the productivity should rise to equal that in more established sectors.? An analogy might be with the railway building in England in the 1835 – 1840 period when vast numbers of men were employed building the railways , with little passenger and goods traffic initially . Or is it because the energy performance is so fickle that productivity will always be less than in coal or gas based power generation, even when few people are required to run the solar installations.? It’s because of the vast areas of infrastructure needed for unreliables, For example just one 777 aircraft engine produces more power than the 16 square km ivanpah solar power station. Each 777 has two engines meaning just one 777 produces over twice the offer output of ivanpah. The biggest solar power station in the world. How much effort does it take to maintain 16 square km of solar panels, and how much for one of the two engines on a 777? Again it shows the incredibly low energy density of the unreliables and the huge amount of materials required to harvest this “free” energy. Not to mention the land required, 16 square km of the scarcest resource in the world (land) is not without cost! For a comparison of scale between a GE90 and ivanpah – it’s roughly the equivalent of deliberately choosing to replace your iPhone plug pack with a plug pack about the size of your house. Mike, the analogy with railways doesn’t work. But your alternative is on the mark. Solar is so fickel! I don’t think that like-for-like comparison has been made here. Given that the energy created by the Coal and Gas Utilities is transmitted over the grid, we should compare their efficiency with that of Solar Utility-scale generation. From a quick scan of the EIA data, Solar Utility-scale generation produces (approx.) two thirds of total Solar energy, while employing (approx.) only one fifth of the Solar workforce. Which implies that it takes about 30 Solar Workers to create the same amount of energy as 1 Coal Worker. Not good, but better. Any figures available for the Nuclear Generation sector?? where’s the employment data for wind turbine & nuclear? Has anyone done some calculations or can reference the costs of rooftop solar or large scale solar per MWhr? Mikewaite @ #14: I think you are right that the worker comparison may be misleading because most of the solar workers are involved in manufacturing and installation. Even so, I am sure if you calculated the number of workers to build a coal-fired station plus mine, the economics of scale would still show far greater productivity. And we are still comparing 24/24 power delivery with 6/24 delivery per day. Don’t we need to factor in all the battery manufacturing workers or other energy storage solutions? Meanwhile the subsidies continue. 2017 will represent a “transformational” year for solar farm development in Australia, with over 20 projects likely to reach financial close. “While the 12 ARENA (ie government grants) supported projects are likely to be the first to lock in funding, an additional pipeline of projects is set to attract overseas and domestic investors. Sustainable Energy Research Analytics (SERA) released its large scale solar capital forecasts today (Jan 2017), in which it finds the $1.3 billion in large scale solar investment set for 2017 will be surpassed by close to $2 billion in 2018″. “The SERA forecast sees over 1GW of capacity, across more than 20 projects, reaching financial close in 2017. In the medium term, SERA is tracking more than 3.7GW of large scale PV projects in various stages of development”. That 3.7GW of possible additional solar generation compares to the total AEMO market demand of 24GW and current solar delivery into the grid of 0.2GW. However peak demand occurs at 6-7pm when solar power is delivering zero. So without 100% backup from gas/coal/hydro/storage, all that solar investment is worthless. But as it stands with the 23.5% RET target and renewable energy certificates, the investors will presumably get a return on investment, paid for by all consumers through ever higher electricity prices. When will governments call a halt to this stupidity? Everything about unreliable energy (solar, wind and other diffuse intermittent generators) is expensive and inefficient. It simply doesn’t make sense to replace an inexpensive, centralised coal, gas or nuclear generator with thousands of windmills which still need the central generator as backup in any case. Only one. But the light bulb must be prepared, and willing, to change. Hmmm….hopelessly inefficient company employing lots of workers at govt behest…gosh that is pure Socialism…. Are you raising the ghost of British Leyland there? If I recall correctly, the numbers that came out during the Oz car manufacturing exit, the cost of Australian labour was of the order of $600 whereas the US cost of labour was $400. I’m not sure how they arrived at that metric but if it holds true for solar energy, it must be 50% more expensive to do solar here than in the USA. It’s a start, but if we really wanted to create green jobs we should ban the combine harvester. Bring back the scythe and sickle. Exactly. The drudgery and crushing poverty of green jobs are just a pen stroke away. Tony Abbott created green jobs with Direct Action, but the Lefties howled. Next time the ecoloons post this stat on social meeja, ask them whether they believe it would be cost effective to ride a bus so complex that it needed a staff of 79 to operate. Why don’t they just put 79 people on treadmills. They could “work” reliably for eight hour shifts, round the clock. It would solve the intermittency and bird slicing problem. It would also make clear that ecocomunism and slavery are very similar. A few trillion hamster powered generating plants will help. Renewables are in start up phase, which is always a big employer, coal can also employ many people in stage one. ‘My colleague senator Matt Canavan has pointed out that this rail corridor is set to unlock the first new coal basin in Australia since the Pilbara and the Bowen Basin were opened up in the 1960s. ‘There are predictions of more than 15,000 direct jobs in the ­Galilee Basin, with more to come. I know that local tradies are waiting with bated breath, vehicles and toolboxes at the ready. If you study the perfect fit to temperature in Prof Weiss’ video you can see the rapid drop in temperature coming. 1C in the next ten years alone. It is just starting and history will quickly forget windmills. Again. Located in South Australia’s Riverland region, the project was announced following a serious of widespread power failures in the state over the past year, which had prompted concerns over the future of energy security. The solar farm is being spearheaded by private investors through the Lyon Group, which have also proposed a second, smaller project in the state’s north. Oh great; more large, expensive targets for storms and cyclones. For comparison, here’s a little, 2.4GW nuclear power plant, now mothballed in a Merkelian insanity programme. Less than 0.5 km² of land required. Emissions free. Requires one truckload of fuel a year. Works well in an ice age. They don’t have one of them funnel thingies. Okay then, the lifetime Capacity factor of this Nuclear power plant was 91.1%, a truly amazing figure of itself. It did have two units until one was closed back in 2011. It started to deliver its power in 1979, so as those two units, it operated for 32 years. The TOTAL nameplate for EVERY wind plant in Australia is just on 3900MW, so that’s 63% higher than for this one Nuke with such a tiny land footprint when compared to all those wind plants. To deliver the same total power this Nuke delivered in its 32 years, all those Australian wind plants will need to run for 60 years, so that’s the original construction and totally replacing ALL of them twice over. Please don’t try and tell me wind power is cheaper than just this one Nuclear power plant. The cost of EVERY wind plant in Australia multiplied by three times. This was posted by someone on an earlier post – I can’t recall who? Without any mathematical analysis it is intuitively obvious that the unreliables are more costly and labour intensive than traditional centralised generating plant simply because you need thousands of windmills or tens or hundreds of solar plants to make up for one centralised reliable generator. It is always more costly to build and maintain multiple units of anything rather than one large unit that does the same (or superior in this case) job. I notice that Joanne linked to the EIA data in the body of her text, and that data is always a great reference, because, what it does is to provide actual data that can be readily accessible whenever renewable acolytes spruik up how good their renewables of choice are, wind and solar. Because the U.S. has the second largest power generation on Earth, that data is invaluable because it gives large scale figures for those renewables, and you can show just how ineffective they are. The EIA now operates with a two to three month lead time, so the data is relatively up to date. China (now far and away the largest power generator on Earth) now does exactly the same thing, with a two Month lead time, so we have access to the largest two generation totals on Planet Earth, always a good thing for comparison. So, then, that EIA page Joanne linked to is the main page for (most) generation totals. There is a second page that just handles all the renewables only, and that page is at this link. Now, there’s something here I would draw your attention to, and it has to do directly with the main topic, Solar Power. See that third column from the left, Solar Thermal Power, well that’s the one I want to draw your attention to. Now, down the left side at the top are the power generation Annual Totals for each of the last ten years, so here, go to 2016, and yes, so that’s at the end of December last year, so the most recent full year data, only 5 Months old. That total comes in at 0.083% of the total generated power in the US, so less than one tenth of of one percent. How many times have you heard that CSP (Concentrating Solar Power, same thing as Solar Thermal) is the way of the future to replace coal fired power, you know, able to supply baseload power, as Dr. Hewson so admirably told us. Okay then, that total power generation of that figure of 3388GWH is generated from a Nameplate (Capacity) of 1822MW from many of these solar plants, and that’s just solar thermal alone here, so I’m not adding in all solar, just this one, CSP. So then, that total generation from that total Nameplate gives ALL of these CSP plants a CF (Capacity Factor) of 21.2%, which is worse even than the CF for wind power in the U.S. which is currently 31.1%. So, when those greenies smugly say that solar thermal will soon replace coal fired power for baseload power, you are now officially entitled to laugh in their faces. Isn’t it amazing how the rhetoric always leads the way, towing the truth along behind it at the end of a very very very long rope. Thanks Tony, that partially answers my question at #33 below re nameplate versus actual. Solar Thermal may not be capable of a continuous operation (Ivanpah) or it may be a 24/7 operation with a thermal storage (Crescent Dunes). Crescent Dunes went off line in October 2016, before becoming fully operational. They are now in restart, whatever it means. Ivanpah has thermal storage but it doesn’t work, even in the California desert! Any storage system wastes energy which is exactly why pumping water up hill in the snowy is such a dumb idea. You spend twice as much energy as you can recover, thermal storage is even more fickle since the salt can solidify and damage stuff. Sometimes you must spend energy to prevent that, Ivanpah in January generates pretty much nothing because of this problem. Dr. Hewson has a PhD in economics. This is the same man who lost an unloseable election because he could not explain how GST applied to a cake. Perhaps his PhD is on a part with Dr. Flannery, prehistoric kangaroo expert. The New York Times (that’s the paper which worked so hard early last century to make Stalinism appealing to posh people in the West) will next try to persuade us that 79 people changing a light bulb is better than 1. Of course, the Times won’t specify if the 79 bulb-changers will need to be blonde. That would be discriminatory. They have a story …. We could become a larrikin flash mob and tell them to put up both sides of the climate change debate, there is little value going it alone. I suggest the NYT get over their present financial woes by hiring 79 staff for each one they have now. They could report from every town in Oz, spots like Wallerawang and Yessabah and Dungay Creek. The Times could even set up a crime reporter in the scrub around here at Sarsparilla Tank, where some of our locals like to burn out stolen vehicles. Once you accept the Seventy-Nine Jobs Principle (variant of Broken Windows Principle) anything is possible. Emboldened by the environmental rollbacks of President Donald Trump, state legislatures are following suit, taking aim at items as varied as solar incentives, chemical spill protections and, even, anti-pipeline protesters. A plan to carry out a constitutional amendment designed to expand the use of solar — and other renewable-energy devices is ready to go to Gov. Rick Scott. The Senate voted 33-0 on Thursday to accept House changes to the plan (SB 90), which establishes rules for implementing the amendment — approved by 72.6 percent of voters last August — that will extend a renewable-energy tax break to commercial and industrial properties. What they will not tell you is that the statewide board of public utilities won’t allow connection to the grid unless it is both reliable and despatchable. D’oh!! Just wondering if the level for solar is based on name plate output or actual generation? Do you mean the Green jobs hype may only have a capacity factor similar to solar ? It has to be far worse in the UK, which is not renowned for being very sunny. Former Australian of the Year and climate expert Tim Flannery has warned the Northern Territory not to invest in “dying” fossil fuel industries like gas. Professor Flannery, the former chief commissioner of the now defunct Climate Commission, was brought to Darwin by the Environment Centre to speak at the Sea Breeze Festival. Ahead of the event, he told the ABC despite the Territory’s economic woes, investing in gas infrastructure or fracking would mean the NT would lose out economically and environmentally. “There is no conflict between going renewable and economic development; what we do have is an industry that is determined to hang onto life,” Professor Flannery said. “That’s one of the old fossil fuel industries, it’s fading out and it’s fighting desperately to [hang onto life], and I think to put your money into a dying industry is the wrong thing to do. Professor Flannery said the answer lay in the vast Territory skies. not a hint of reality. ABC is a disgrace. What’s going to happen to these people when the truth comes out? There’s just no going back from the position they have put themselves in. All these high profile people who have blindly supported renewable power will have nowhere to hide. There might actually be angry people wanting answers, and it won’t be polite, let me tell you. ” “That’s one of the old fossil fuel industries, it’s fading out and it’s fighting desperately to [hang onto life], and I think to put your money into a dying industry is the wrong thing to do… “, but does he “investigate”, or “demonstrate”. Ever? Just a worm in dung heap. “the energy coming out of the sky is effectively endless”. Go on Tim, show us your calculations. Utter rubbish. Science PhDs should be for people who have studied real science, not science fiction, science by essay. Well, it’s really only “endless” until sundown. No worries though . . it becomes “endless” again as soon as the sun comes up. As expert as David Suzuki? One classic example of the failure of solar power is the Ballarat solar park. I decided to call in on the Ballarat Solar Park this afternoon on my way home from the Lake Goldsmith Steam Rally. The Park was developed as part of the Solar Cities rewnewable energy project. The Solar Cities Renewable Energy Project was closed down in 2013, just 4 years after its inception. I found that the 15,000 square metrews of solar goodness looks more or less the same is it did in 2009. The grass is mown and the arrays of cells are still there. However the large power meter behind the fence shows that the park has not produced any electricity this year and has not saved any tons of CO2. The promotional signs are fading. It seems that the investment has just been abandoned. No one is assessing the output of the solar cells over time. No one is checking on the availabilty of the solar power. Nothing. What a waste! At least the site could have been used as a pilot project by the department of Sustainability and Energy, but they are not interested anymore. Third world countries are littered with ruins of abandoned grandiose projects. The Park is expected to generate approximately 420MWh of solar energy each year which will prevent approximately 567 tonnes of carbon emissions being released into the atmosphere each year. What a joke, the human population of Ballarat would emit sixty times more CO2 than what the solar park would save over the course of the year. The 70 square metre banner read “Comm Bank Dump coal! Invest in our future” and was hoisted upon the bridge directly outside the bank’s head office and above the busy pedestrian thoroughfare that connects the CBD to the inner city suburb of Pyrmont. Security was stepped up at the Eiffel Tower on Friday ahead of Sunday’s presidential election in France after Greenpeace activists scaled the Paris landmark and hung out a big political banner. 5 May: Rebel: Ezra Levant: Greenpeace Eiffel Tower stunt: No charges again. Why? So now we know how many cagw workers are needed to change a lightbulb, 79. The government has largely reviewed its feed-in tariff system that mandates the purchase of electricity generated from renewable energy sources, such as solar and wind power. Under the system, utilities purchase electricity from such sources at certain prices and collect electricity charges from households and companies after adding a surcharge for such energy to their energy bills. When the system was launched in 2012 under a government led by the Democratic Party of Japan, entities from different industries rushed to position themselves as solar power producers as the government placed priority on the proliferation of renewable energy and set purchase prices excessively high. ***seems 2.14 trillion yen equals approx. 25.6 billion Australian dollars. Apparently solar is a government jobs program . . . I see ‘turtle’ posted this first. Good show! Well then, that being the case we’ve all been wrong and our new direction is obvious. After all, isn’t the objective of being in business to provide as many jobs for as many needy workers as possible? That’s what I keep hearing from the wise and benevolent elected officials who govern California. So we need to stop fighting it and support 100% solar power with the objective of accomplishing solar panels on every roof, car port, barn and outhouse in the kingdom as soon as possible. After all, the solar power vendors are in business are they not? So they should do their fair share and they will with our support. So my approach makes perfect sense and we should do it. It could solve our electricity shortages and our unemployment problems with the same remedy. I will get red thumbs only from those who do not understand or appreciate the fine arts of sarcasm and satire, especially as they apply to California. So go at it if you must and by your color you shall be known. And I bet you never thought Roy Hogue would ever actively court red thumbs did you? And there, as if in obedience to my command, is a red thumb. I wonder which part of the word “JOKE” it didn’t get. Don’t give up your day-job, Roy. Thanks for the advice, Rereke. But I gave that up years ago. As a humorist I may not be ready for the big stage but I bumble along the best I can. Sometimes the fun is all in coming up with an idea and then writing it, not the green or red thumbs afterward. Life offers many different kinds of rewards. The solar employment numbers don’t include the number of government employees handing out and monitoring tax payer subsidies,the number of bankruptcy lawyers to clean up when solar companies tank , the extra utility people baby sitting grants, feed in tariffs ,regulatory oversight and complaints . All this for what … a trace gas which is historically low and when in abundance highly beneficial to plant and tree growth . or is it simply about fleecing tax payers ? Renewables create jobs. There are next to no jobs in coal. We’ve been saying this for a while. Have shot at the other foot. Ross, I realize this is hard for you, but burying bottles of cash in dirt also “creates jobs”. 78 our of 79 solar workers are doing unneccessary pointless work. Solar powered electrons are no different to coal fired ones, except that they stop 78 people from doing something that helps mankind. Gosh Jo, when you put it like that. But stay a million miles away from politics…or marketing. This is of course why coal electricity costs 6c per reliable kW and solar costs $1.50 per reliable kW. Now given I pay electricity bills, given the alternatives I vote cheap coal. The problem with rank Ross hypocrisy is you continue to say that solar is “free” while acknowledging that the solar industry pays 79 times the wage bill of big coal. Didn’t Lewandowski say that holding two conflicfing views simultaneously was a sure sign of a consipracy ideationist… well Lew, meet Ross. If farming were to suffer a similar fate – with far lower productivity per worker – we would all have to work in the fields and we would still not have enough to eat. Try to explain that to a so-called Green. Ann Coulter offers some great ideas for the people engaging in the climate change debate. Frame it as a public policy discussion, not a scientific debate. It is the climate alarmist that has to defend killing coal jobs and not building roads, schools, and hospitals, not the climate skeptic. That is a discussion I would like to have and am sure I could win. The slaves wouldn’t work if they knew there is abundant energy in every atom. It is almost unfathomable to believe that a survey performed through a simple search of journal article performed by a “researcher” with an Anti-Trump book in the works can be justification for spending TRILLIONS of US taxpayer’s dollars. The whole lot of you are ignoring that job creation is part of “The Third Way” and this will lead to broader economic benefits.